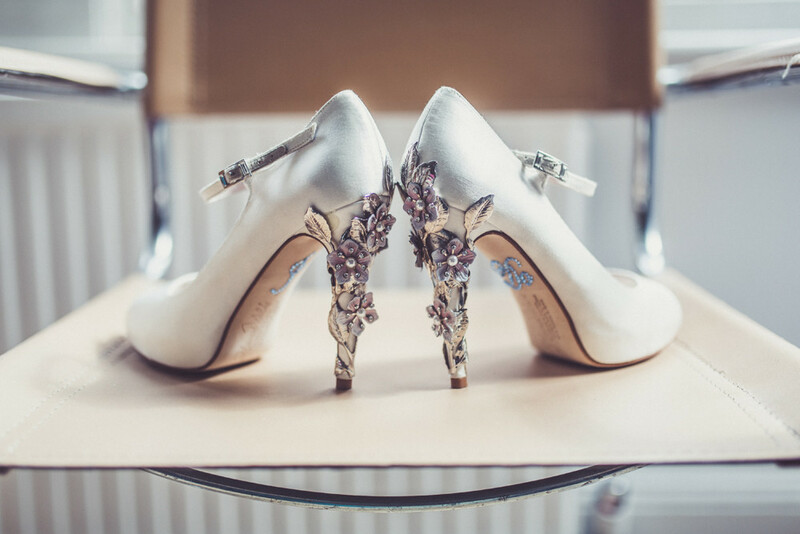 Jenny Packham wedding dress & Harriet Wilde shoes for a classic wedding with bright florals & Coast pastel bridesmaids dresses. Groom wears Marc Wallace suit. 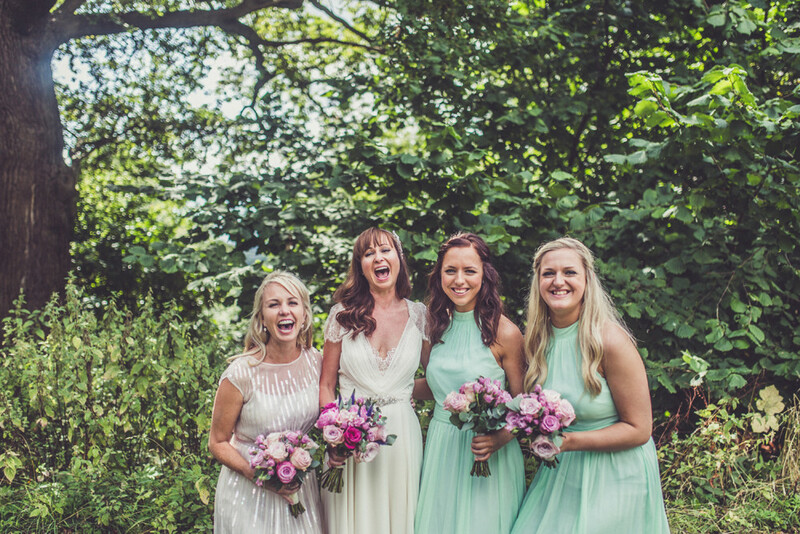 Images by Claire Penn Photography - Jenny Packham wedding dress & Harriet Wilde shoes for a classic wedding with bright florals & Coast pastel bridesmaids dresses. Groom wears Marc Wallace suit. Helen The Bride: People always say that a wedding takes about a year to organise, so when Simon proposed in September 2013 we thought August 2014 sounded about right and really how much is there to do! I am a very organised person and through work I have organised fashion shows, events and photo shoots so it should be a breeze – but where to start? Thank goodness for the internet and sites such as Rock My Wedding and Not On The High Street for inspiration and Simon giving final approval (luckily we have similar taste and are good at making decisions). The first step was also to find a good guide on the internet to help suggest what you should be organising at what time through the year! Simon and I met in Twickenham about 8 years ago and live there now! It was important to us that we booked as much as possible for the wedding through local suppliers, friends and family. 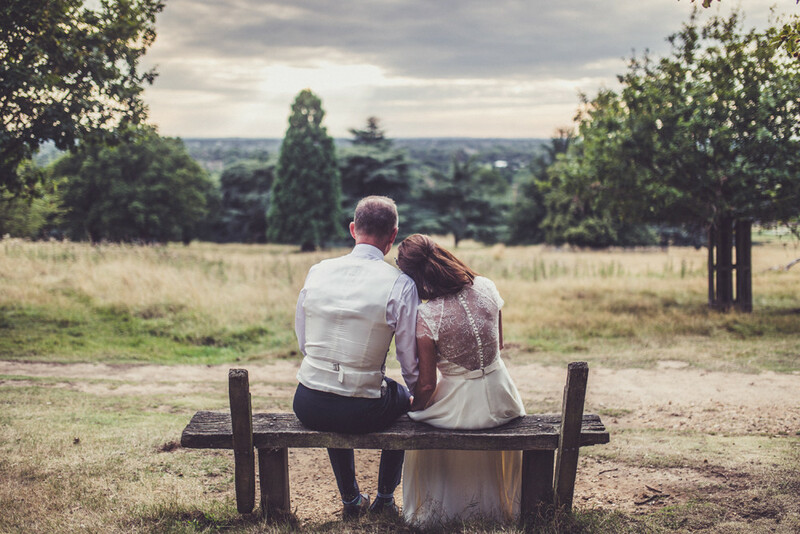 We sourced a few locations but the minute we drove to Pembroke Lodge in Richmond we both knew this was the place we would get married. 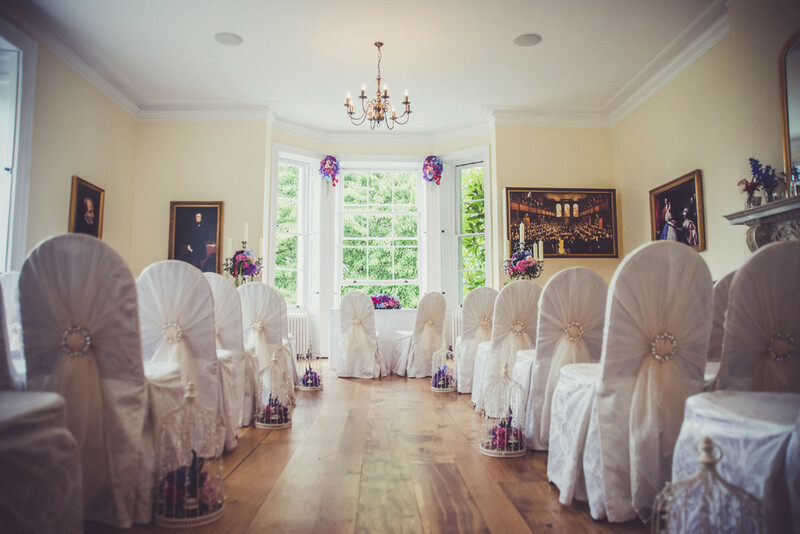 There are two suites there and the Russell suite which we chose was upstairs and perfect for both the ceremony and reception with amazing views of the park and a couple of miles from home. The wedding organisers were amazing from our first meeting until we left on the evening of the wedding day. My lovely friend Annie Lynch is a florist and one of the most creative and patient people I have ever met! 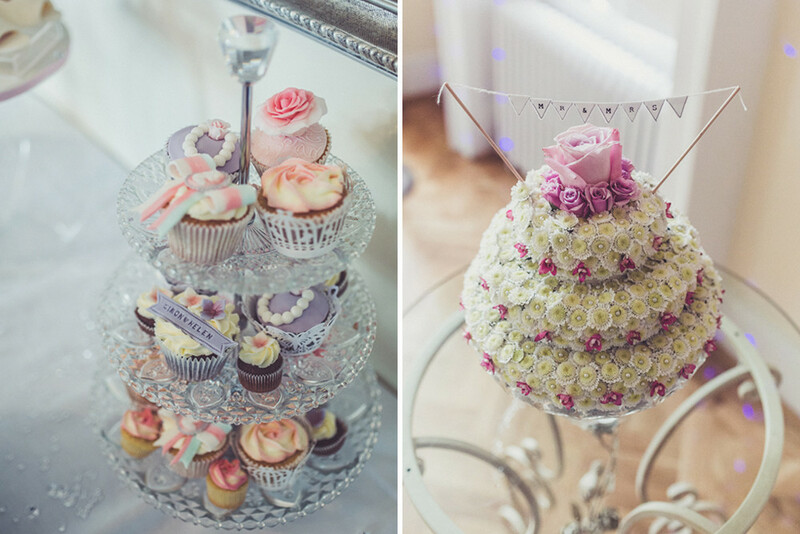 I wanted a grown up vintage feel which would suit the venue which was quite a blank canvas and I love purple, pinks and a little bit of diamante bling in my bouquet. 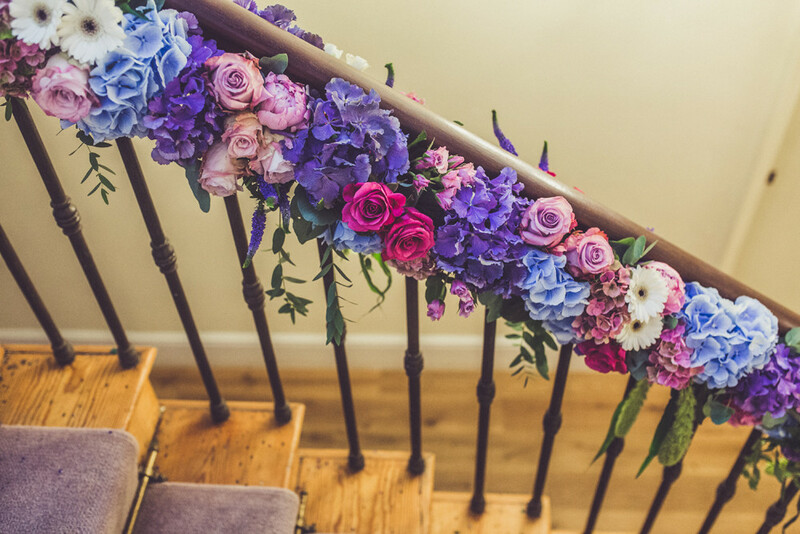 I wanted an entrance so the flowers started from the bottom of the stairs wound around the banister with a mix of hydrangea, roses and gerberas in vibrant colours which then continued into the decoration in the room used for the ceremony. I hired candelabras, bird cages and other vases and knick knacks from Lavenders Design to compliment the theme which were also enhanced with flowers. 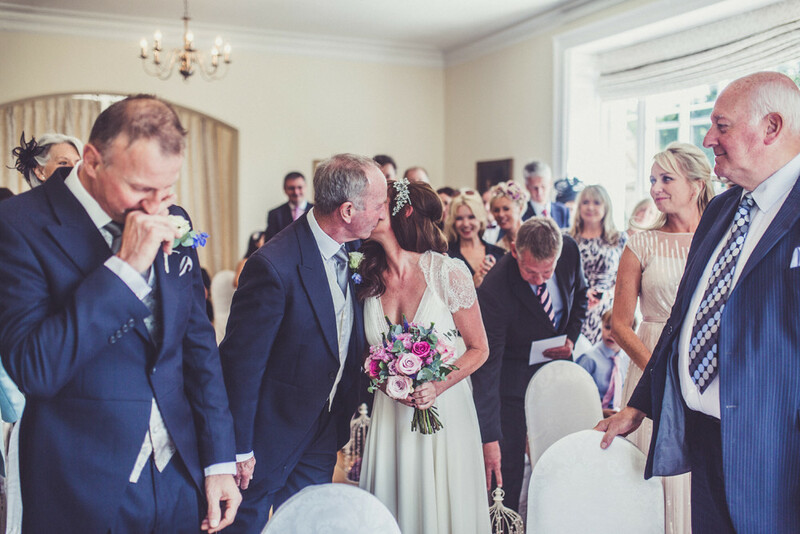 When I stepped into the room at the ceremony and saw Simon turning around and how beautiful the room looked and full of loved ones, my heart nearly stopped but a squeeze from my Dad’s hand pulled me together. I am very lucky to have a great artworker in the office and also a printer I work with, so it was just about Simon and I deciding on a theme but also we thought to be a little fun. 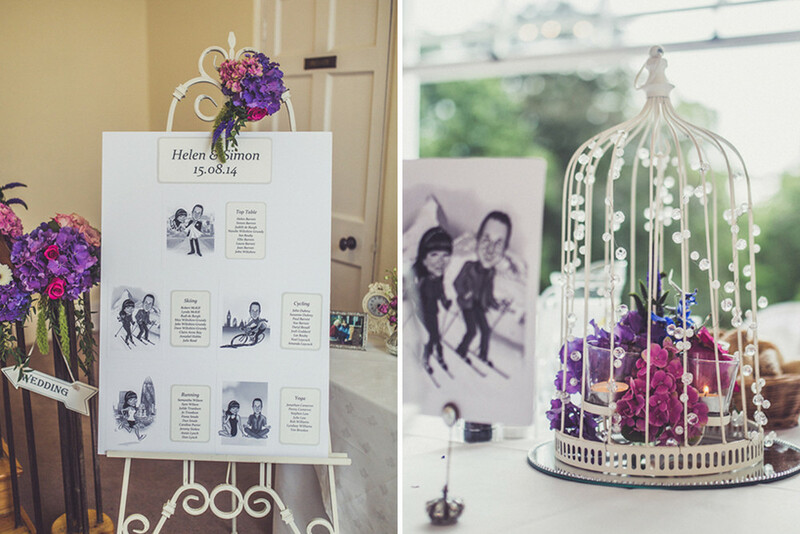 We both love sports so we thought the table plan could be based on the activities we do on our own and together. I looked at quite a lot of options and then remembered a caricaturist at a good friends wedding and thought how about caricatures of us getting married as the invitation with Pembroke Lodge behind us and then for the tables us skiing, doing yoga, Simon cycling and I running etc. I found an amazing caricaturist through the internet called Luisa Calvo and sent her some pics of us and gave her the theme, this was then translated through the artworker using swirly typography and the printer using gorgeous matt card and gold leaf edging so it was quirky but sophisticated. This for me was probably the most important decision for the wedding as it would be our memory. At work I have booked a lot of photographers through the years for fashion photo shoots but this was a completely different choice. 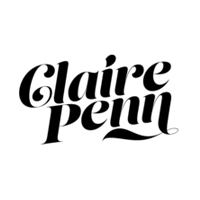 I got a bit obsessed looking at Rock My Wedding but this is where I found the wonderful Claire Penn. Every wedding that I loved on the site was shot by her, she certainly knows how to catch the moment, is a lovely person and loves her job. We met up with her a couple of times and she was so relaxed, great fun yet professional and obviously loves her job. She also took us away for about 40 minutes after the ceremony and before the wedding breakfast began to take pictures in the lovely light of the park where we also got time to talk and spend some time together apart from our guests. Claire has since been voted by U.S. magazine Rangefinder as one of the Top 30 rising stars of wedding photographers in the world – I think we chose well! The dress – how to chose! I love fashion but this has to be the ONE and so who better to take with me than my fabulous sister Natalie and lovely Mum. My Nanny had asked that she bought the dress for me when she passed away. I found dresses in Richmond and Teddington but in the end it had to be a boho style Jenny Packham dress that brought more than a tear! I teamed it with a fabulous pair of Harriet Wilde shoes and Bulter & Wilson head piece that I had worn at my Sister’s wedding when I was a Bridesmaid 6 years ago. My Sister who was Matron of Honour and Bridesmaids wore Coast. Simon and his Best Man, Dad and the Ushers hired from Moss Bros, but Simon bought a waistcoat through Marc Wallace which again we took inspiration from Rock My Wedding. My lovely friends Claire Anne and Julie Read professional hair & make-up artists did the honours for the Bridesmaids and myself. My wedding dress hangs on the wall at the top of the stairs as I couldn’t bear to put it in a box in the loft. We had a food tasting at Pembroke Lodge – it was all yummy but we went for a sophisticated starter and dessert and then bangers and mash for main. Weddings are a long day and obviously there is quite a lot of alcohol, so we wanted the food to be a substantial choice! We had fabulous canapés, champagne and Pimms served in our private area in the grounds before the wedding breakfast and then later when the evening guests arrived mini burgers and a finger buffet. I found lovely Mimi from Ya Ya’s as a local cake baker who designed our vintage style cup cakes and she even made a fondant cake out of my shoes. She personalised some of the cakes even with my Nephews names and their love of rugby and boats! Apparently the cakes were good I didn’t get to taste any as they all went pretty quickly! My florist designed the main wedding cake that we (pretended to) cut which was made out of flowers! We both love music and had lots of ideas regarding music and entertainment. We started the ceremony with a string trio called Niche who played classical music and then more contemporary outside while we had drinks before the wedding breakfast. I had always said to my Sister Natalie that when I got married I would love her to sing at the service, she has an amazing voice and sang Ellie Goulding’s ‘How Long Will I Love You’. It was such an intimate ceremony that I don’t know how she did it , especially with my sobbing but she did an amazing job and made our day! My best friend Caroline did a very thoughtful reading and even framed a copy of it for us as a wedding gift. Simon’s Daughter Ellie is a singer and sung our first dance ‘The Power of Love’ which was incredible! Lastly and not least we hired a two piece band called John & Fiachra who live locally and sing at a pub in Twickenham called The Fox. 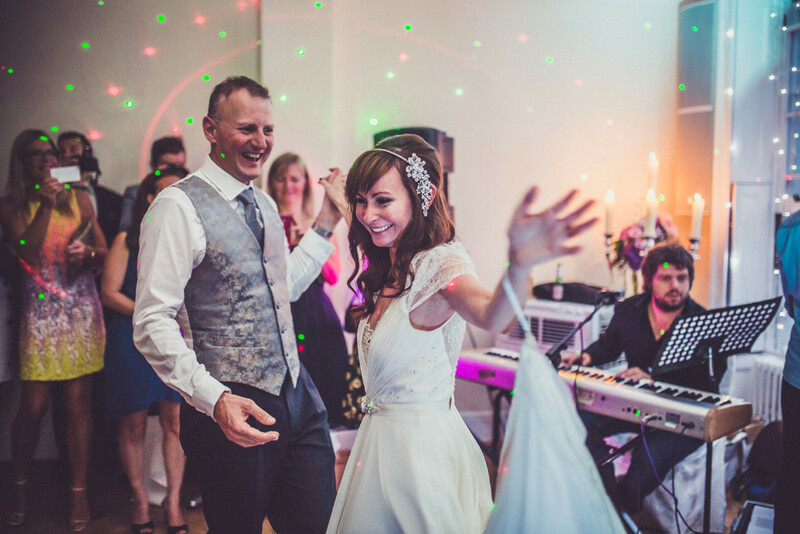 We have always loved their mix of rock/indie and were delighted when we asked them to play at our wedding! Those flowers! Oh my goodness. The variety of texture and colour is just perfect. If I ever win the lottery I’m going to insist that my stairs are permanently decorated like that! Hahaha Jen – I would too!! That would be amazing. It was such a beautiful wedding and I still dream about those flowers… there were people wandering in ‘off the street’ (ok, Richmond Park) to look at the staircase. Sorry only just seen this post. No doubt it is too late to give you advise. Hi Claire, sorry I have just seen your question. Is it too late now to share mystery florists details? Stunning pictures and amazing flowers arrangement. What a couple.